A bonsai sits quietly in the center of this thriving scene at the Currey & Company showroom. 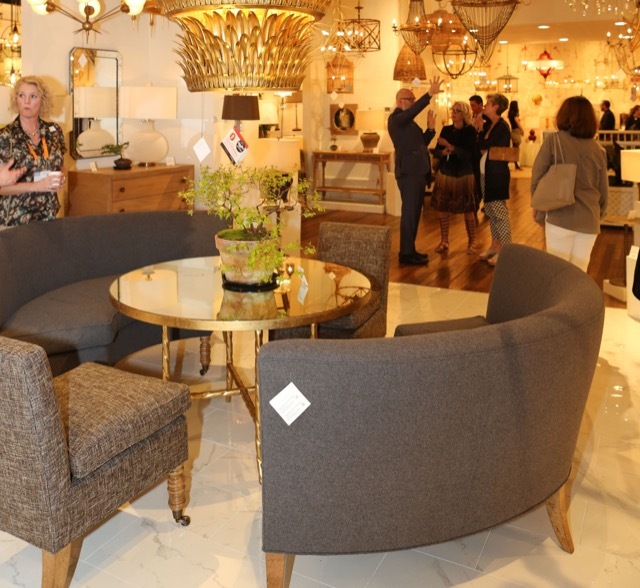 Can you believe High Point Market is upon us yet again? It seems like it was just yesterday that we were basking in the glow of new Currey & Company releases last fall! More than 200 new products and all of the bonsai that ornaments them will be unveiled on Friday, April 21, which is preview day at Market, from 8 a.m. to 8 p.m. And given the advance look I’ve had, we all have reason for ample excitement! 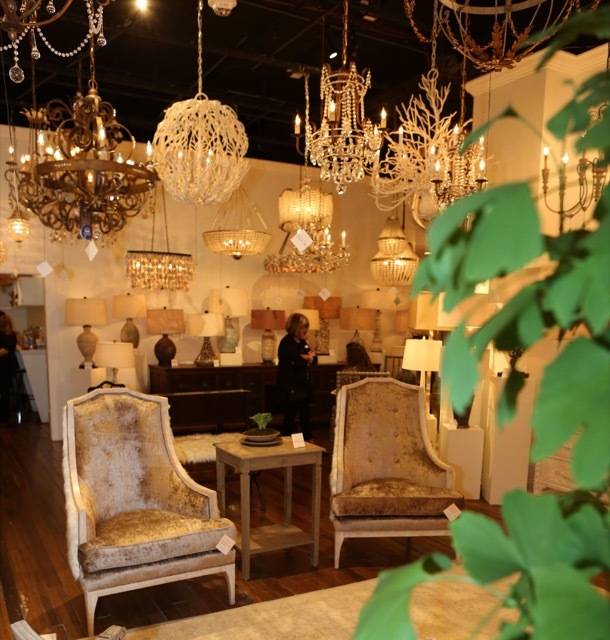 The showroom will be open from April 20th through April 26th, so stop by at IHFC M110 on Main Street and say hello. 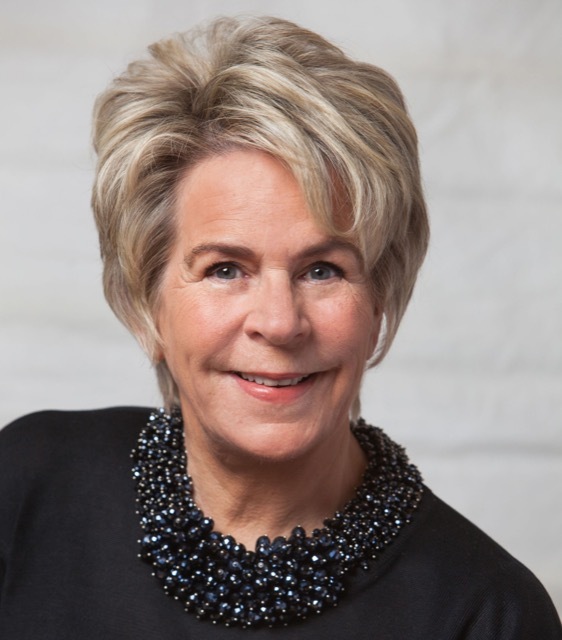 Bunny Williams will unveil a new collection with Currey & Company. A bit of a tease for the new Bunny Williams Collection launching at High Point! Today, we’ll spend more time with one of the ever-present stars of Currey & Company’s #HPMkt gatherings, the veritable grove of Bonsai trees sprinkled throughout the showroom. 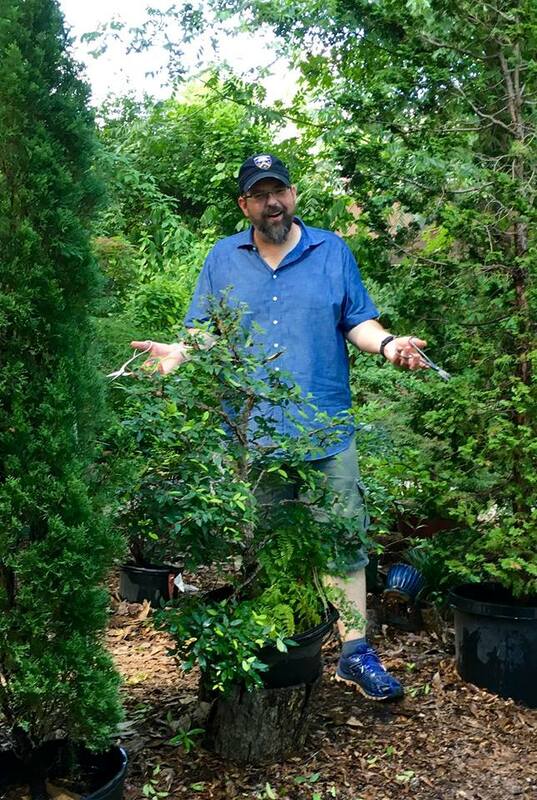 I’ve enjoyed seeing them each market so I asked CEO Brownlee Currey to fill us in as to how he initially became inspired to acquire his graceful forest in miniature and he didn’t disappoint. I share the details of his fascination with these sculptural trees after I give you a hit of product eye candy. Are you ready? 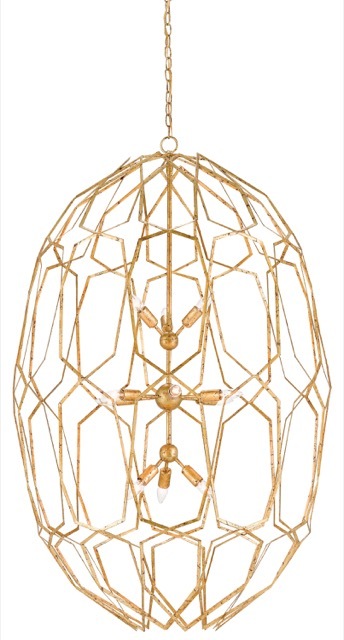 The Albertine chandelier in a gold leaf finish will debut during High Point Market in April 2017. 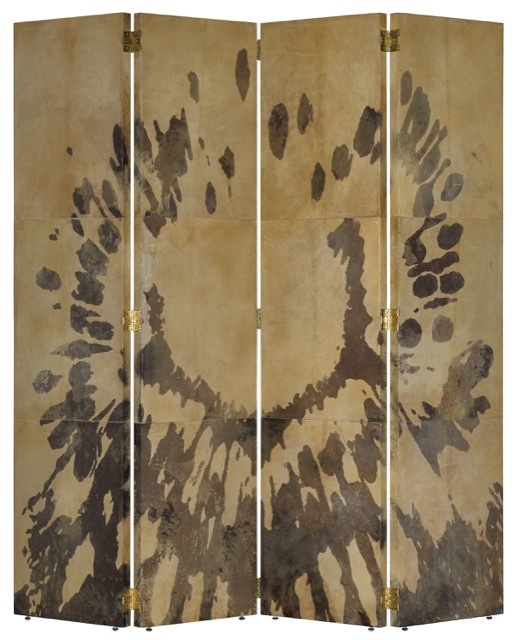 The Karlson screen covered in natural vellum and hand-painted with a pattern in caviar black will also debut during High Point Market in April 2017. 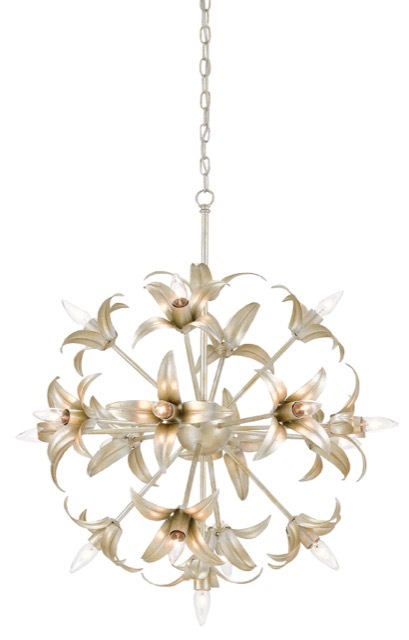 Debuting during High Point Market in April 2017 is the Carmen chandelier in a silver Granelo finish. 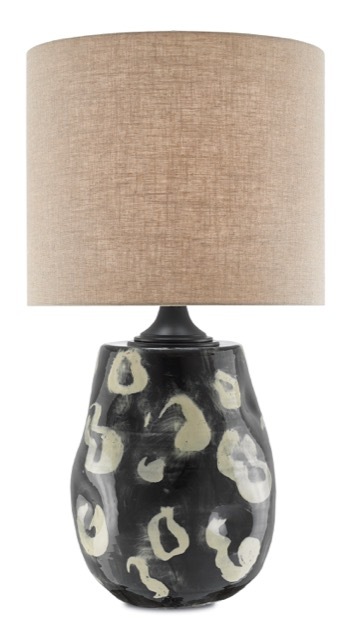 The Ginza table lamp, which will debut during High Point Market in April 2017, is made of terra cotta and finished with a black and tan pattern. 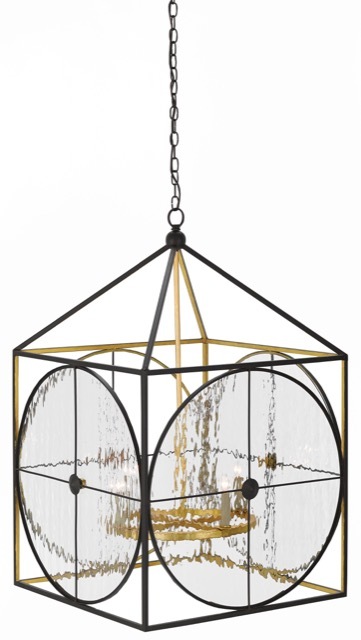 The Sagamore lantern in satin black and contemporary gold finishes is a new release during High Point Market in April 2017. 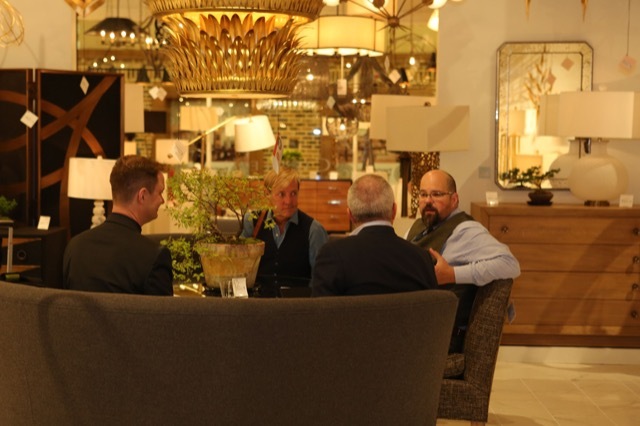 Brownlee holds court in the Currey & Company showroom, never far away from one of the bonsai he and Robert nurture. Brownlee at work on his bonsai at the Currey Farm. 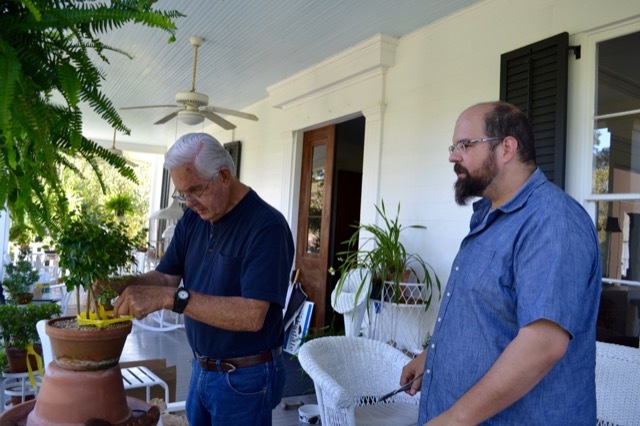 Robert and Brownlee work on the bonsai cared for on the Currey Farm. Bonsai on the Currey Farm, an image I took when I visited in February. 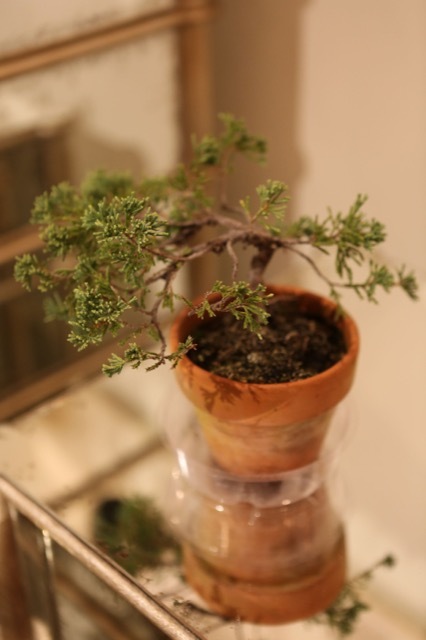 A graceful bonsai in a simple terra cotta pot in the Currey & Company showroom. 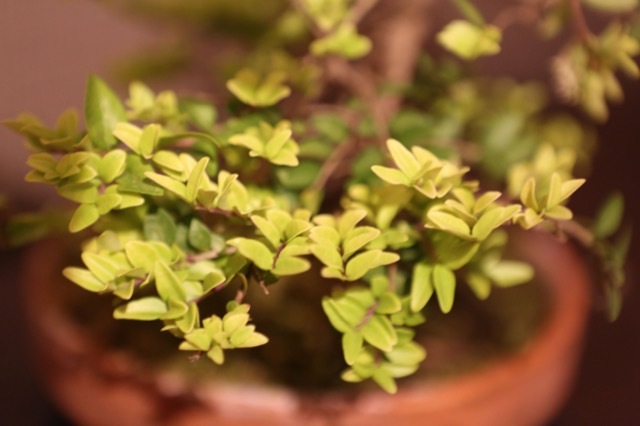 A poetic close-up of the leaves of one of the Currey & Company bonsai trees. Bringing hints of green to the luxurious offerings Currey & Company offers, the bonsai trees are lovely natural elements on display. I look forward to seeing everyone in High Point. 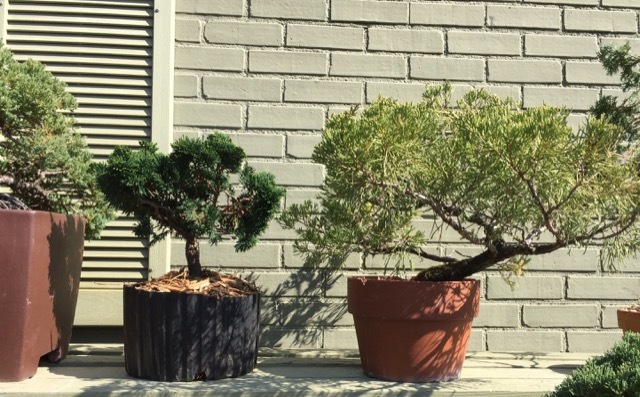 Let’s all choose our favorite bonsai this market, shall we? We can call it the #GreatCurreyBonsaiCaper! 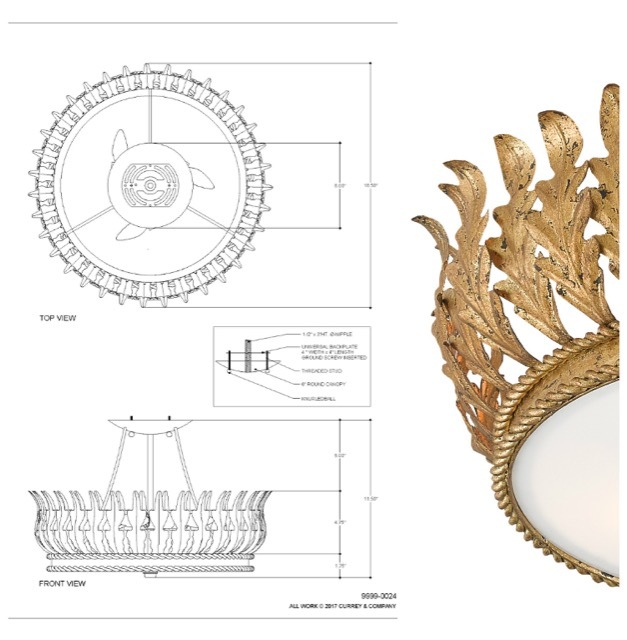 This entry was posted in Currey & Company, Market, Products and tagged Accessories, black, Chandeliers, design influencers, Furniture, Garden, Gold, Lighting, Natural, nautical, occasional tables, organic shapes, seashell, seating, Silver, Table Lamp on March 29, 2017 by Currey & Company. Absolutely fascinating. Thank you for sharing the art of your Bonsai with us every market. My customers look forward to seeing the Bonsai trees as much as the new product.